Broadway In Chicago announced that individual tickets for FALSETTOS will go on sale to the public on Friday, March 1. FALSETTOS will play Broadway In Chicago's James M. Nederlander Theatre (24 W. Randolph) for a limited two-week engagement May 28 - June 9, 2019. 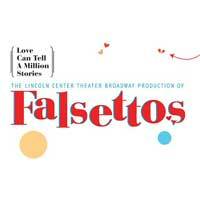 William Finn and James Lapine's groundbreaking, Tony Award-winning musical FALSETTOS returned to Broadway in an all new production from Lincoln Center Theater, and was nominated for Five 2017 Tony Awards, including Best Revival of a Musical. Lapine returned to direct an extraordinary cast in a production that was seen on PBS stations nationwide.